The Home Of The Free shirt is a two sided print in the color black. 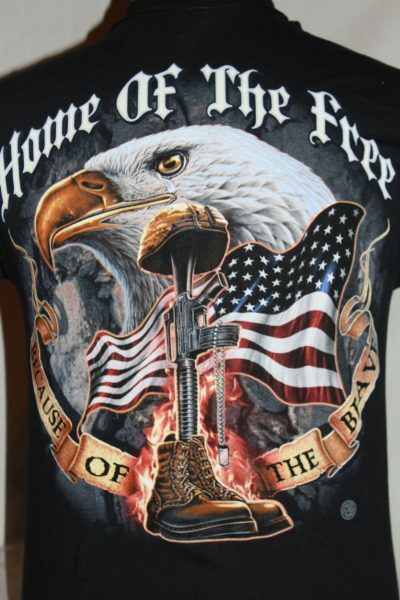 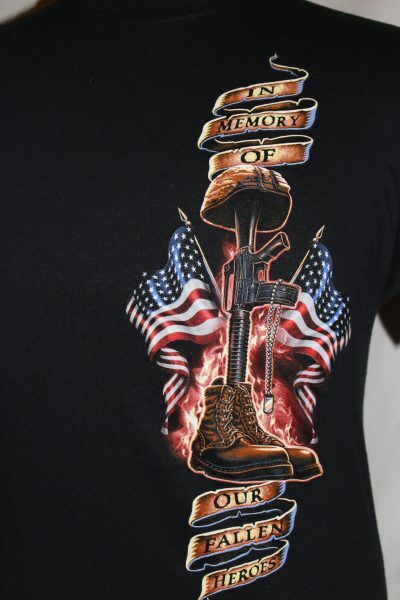 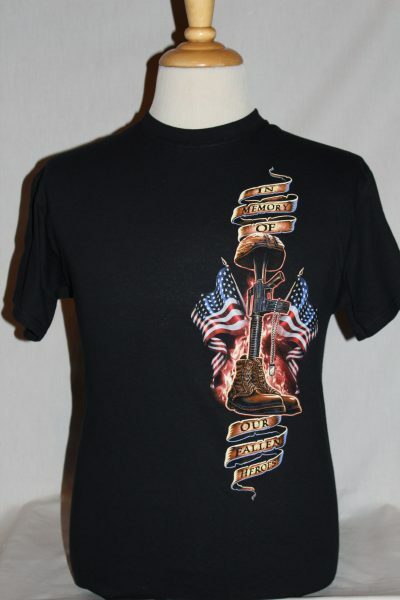 Front Image: Left chest vertical design of American flags, AR15, and text. 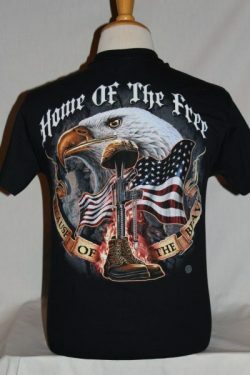 Back Image: Larger print of the front with eagle.